WHAT’S YOUR FAVOURITE PATRIOTIC SONG? Who would’ve thought that a simple evening listening to a talk on patriotic songs would evoke strong emotions of love, respect and pride for my country? I personally never thought I’d feel this way. 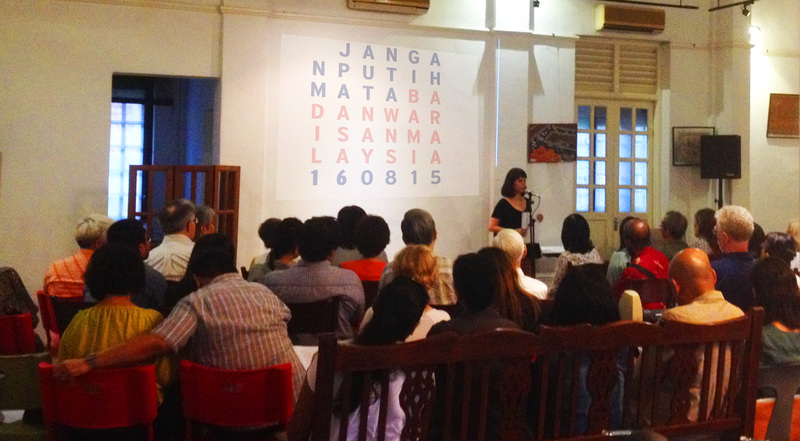 I was part of the audience of about 50 guests who attended Datin Saidah Rastam’s talk entitled Jangan Putih Mata at Badan Warisan Malaysia’s Heritage Center on Sunday, 16 August 2015. In all honesty, I probably would not have attended this talk if I was not working for Badan Warisan Malaysia. I guess I can consider this the ‘perks’ of the job. The evening began with a short introduction of Datin Saidah Rastam by Elizabeth Cardosa, the Executive Director. 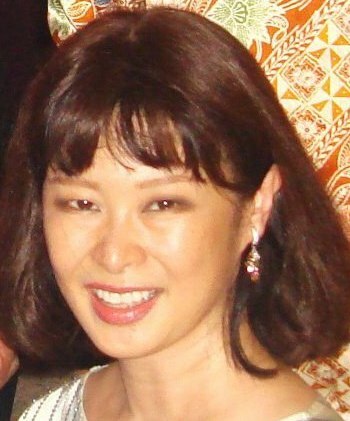 Datin Saidah Rastam is a composer who has written music for theatre, film dance and TV, for gamelan, martial artists, choral groups, Chinese opera singers, orchestras and electronica. A show she created last year, Malam Terang Bulan, for singers and orchestra and featuring Dato’ Zahim Albakri and Chacko Vadaketh, will be restaged at the Dewan Filharmonik Petronas in November 2015. Her book Rosalie and Other Love Songs was published by Khazanah Nasional Berhad as part of a preservation project on Malayan music, recordings, manuscripts and oral history. Datin Saidah spoke about various topics concerning patriotic music from the iconic Malaysian composers and producers, the history of our national anthem, the Negaraku and her research for the book Rosalie. One particular point that I related to was when Datin Saidah mentioned works done by artists of my generation, citing examples like Namewee and Najwa Mahiaddin.While they may not sound like your average patriotic songs, the lyrics showcase a love for the nation, hope for a better tomorrow and calls for unity- which got me thinking about Ella’s song-‘Standing in the Eyes of the World’ for the 98′ Commonwealth Games. To me, the most magnetic part of the talk was when Datin Saidah led the audience into a sing-along of nostalgic patriotic songs such as Putera-Puteri, Malaysia Berjaya and Malaysia Tanahairku. I was in awe- firstly because the audience remembered these songs and secondly, for the energy that radiated from them. It was inspiring, moving, energetic and full of pride for this country and its people. I can’t say I’m looking forward to celebrating the independence of our country with a renewed sense of patriotism, but I do have to admit that this talk has certainly given me a new perspective on the different kinds of personalities that were part of building our nation- stuff that you probably would not find in your Buku Sejarah sekolah. This guest post is written by Melanie Anthony, Communications Manager for Badan Warisan Malaysia. The views expressed here are entirely the writer’s own. This entry was posted in News & Events, Talks & Lectures and tagged 2 Jalan Stonor, badan-warisan-malaysia, Datin Saidah Rastam, events, heritage, Independence, Jangan Putih Mata, Merdeka, Patriotism, walks & talks.